- Can you keep from reaching for one? Which ones are your favorites? The limey-green ones or the tangy orange ones? How about a striped peppermint? And do you savor the flavor or do you crunch the sugar and come back for more? Thank goodness we still have some Christmas candy left in the house. Please don't make me choose!!! One of each, please. :) IOW YES they DO look good enough to eat. The green ones are glowing like precious gemstones -- perhaps emeralds? Emeralds was the starting point, thanks! 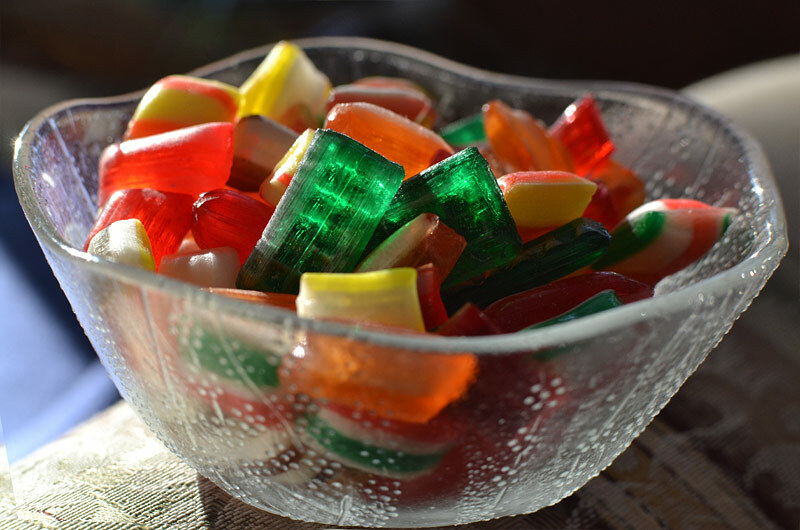 This was one light source, direct sunlight through the candy pieces, no reflections required.